At Lowestoft Community Church we know that serving God for a year has the potential to change your life and also to significantly impact the local community. We've been hosting gap-year students for over 20 years, so we've got lots of stories to back this up! Lowestoft has many positive qualities as a town such as: award winning beaches, a strong community spirit, and the most easterly point in the UK. However, the most exciting thing about Lowestoft is the vision that God has given us to be pioneers in our community in order to bring hope and transformation to the town in a new way and to see this spill out and impact the nations. Children & Youth. 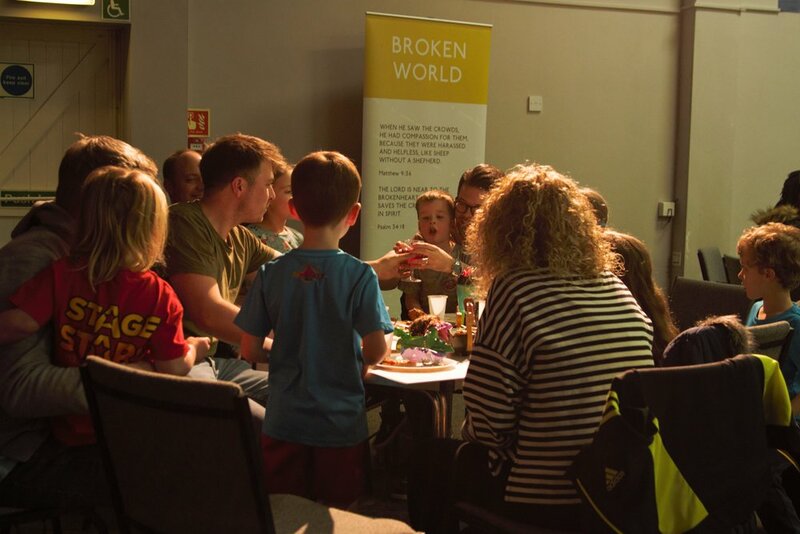 We are connecting on a weekly basis with over 120 young people between the ages 0-18 years, the vast majority being from non-church backgrounds. We are looking for an ID Student to work with our Children's Team Leader and Youth Team Leader to not only serve those who we are already reaching but to develop new ways to demonstrate the Kingdom of God to our town. We regularly run Prayer Spaces in local Primary & High Schools and also are involved in a student mentoring scheme in the town, there are more opportunities opening up to us than we are able to currently keep up with! Community. We believe that churches should be a "force for good" in towns and cities by demonstrating the love of God to people through actions not simply words. There is the potential for an ID Student to get involved in the various community projects we run such as Foodbank, Friend of the Family (befriending service), Conversational English group, Allstars (for children with additional needs), CAP Money, Friendship Club (over 50's). Partnerships. We also work closely with Pathways Care Farm (a therapeutic environment for vulnerable people) and Lowestoft Chaplaincy (town centre chaplaincy providing prayer and support for the public), both of which could provide opportunities for an ID Student to explore new experiences. We would look to accommodate you as an ID Student with a member of the church and can explore the possibility of financial contribution towards living costs. Check us out at lowestoftcommunitychurch.co.uk or email Jodi Peek: jpeek@lcc-lowestoft.co.uk for more information.